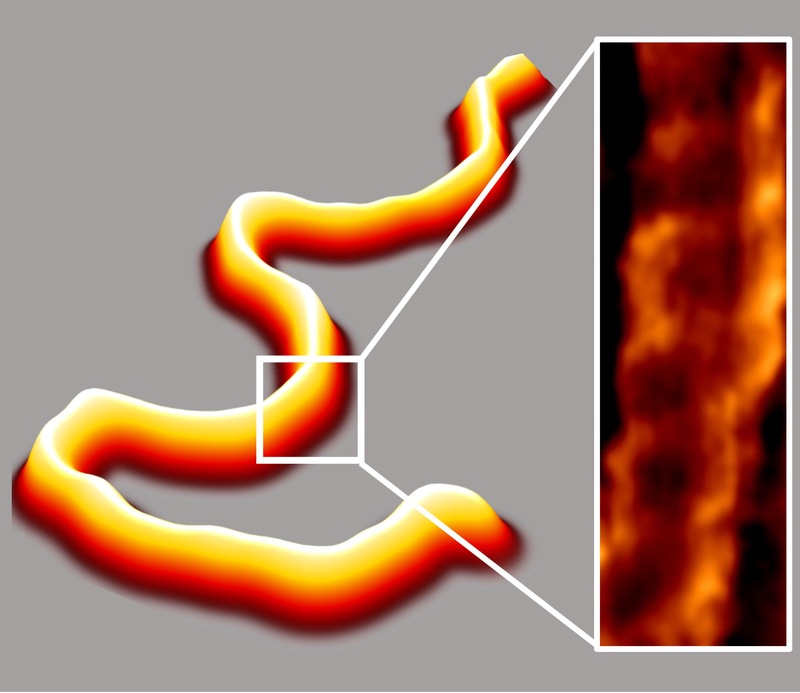 JILA scientists have developed a new DNA imaging technique involving mica and a liquid solution. Several liquid based DNA images have been proposed however none were determined to be ideal for gathering an image. Tests have shown full length pictures of DNA confirming the double helix formation and also scientists are able to study protein complexes involved with DNA repair and metabolism. Also, the imaging process takes 5 minutes to develop an enhanced image; in time these images will help to unlock more secrets DNA holds. Labels: "DNA repair", "DNA", "genetics", "Imaging", "JILA"